The Schaub’s partner with Zillow, one of the largest online real estate websites that provides the most expansive real estate databases in the United States. Many of our clients share their experience with Schaub Team on Zillow reviews. These testimonials provide invaluable feedback when searching for an agent that meets your needs. Tim and Roger Schaub have earned the 5-Star Premier Agent distinction because of their stellar reviews. To see the Zillow Reviews for Tim Schaub, visit here. To see the Zillow Reviews for Roger Schaub, visit here. Below are just some of the online reviews, testimonials, and letters that we have received from our clients. I purchased a vacation home on S Lake Leelanau, and my overall experience with Roger and Melanie was nothing short of outstanding. Initially Roger took us for a drive around the lake, explaining the history of the area, home values, and current market conditions - which we enjoyed. They kept us informed of the process every step of the way, ensuring everything went smoothly. Roger's knowledge of the area is unreal. But best of all, he isn't some pushy realtor looking to make a sale. He's honest and treats you like a close friend. Hi Tim. Thank you for helping us sell our boathouse in Leland. It was a pleasure working with you and your team. You are a good listener and you listened to us when we talked about price and selling. You are an excellent communicator and called me every time there was activity regarding the property. You are very kind and not push. Also you and your team are extremely efficient when it came to the paperwork for the sale. You did a great job and my family and I are very appreciative of your efforts. We look forward to working with you on the sale of our two houses in Leland. Thanks again. We have moved repeatedly for my job and have worked with numerous realtors over 20 years. Without question Roger and the entire Schaub Team are the best that I have ever worked with. I found them to have expert knowledge of the market, a focus on my specific needs and unparalleled follow-up. 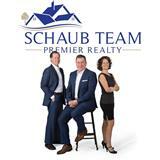 What establishes the Schaub Team as best-in-class is their true professionalism and trustworthiness. I highly recommend them for all of your realty needs. Once again Tim and the Schaub Team did a great job getting our property sold and closed. Three Cheers! We've used Roger Schaub to list and to buy property with great satisfaction. He has the expertise to guide you in pricing your home to sell & also purchasing real estate in today's market with pinpoint accuracy. He stays in close contact and updates you with the information that is necessary for your concern. We highly recommend him as a real estate professional that will get the job done. Thanks Schaub Team! We enjoyed the process of our real estate deal with good, informative communication in a timely manner. You gave it a personal touch and look forward to future business with the Team. - Thanks Melanie & Roger! Roger, thank you for continuing to go so above and beyond. I am so grateful we ended up working with you and Melanie. I can't imagine working with a better realtor (and realty team). You were up for anything and taught us how to look at a house. We have been very lucky to get to know you throughout this process. Tim & Melanie, Thank you for all of your assistance in making this a straightforward transaction. We appreciate your professionalism and efforts in getting the sale closed. Hope to meet you both in the future! The Schaub Team made our dream of owning an "Up North" lakefront home a reality! Like many of us "Down State" residents, traveling to beautiful "Up North" Michigan to escape the hustle and bustle of the city life has been a tradition that dates back for generations. Growing up in Detroit area I had no idea where to even start when looking for a lakefront property retreat. I called multiple realtors all across Northern Michigan. I knew I found my search committee when I spoke to Roger at the Schaub Team. Roger and Melanie listened to my "wish list" and went right to work. I was amazed on how quickly my wife and I were presented area options bases on our property demands and price limits. Roger's experiences of a lifetime resident in the area proved to be a valuable asset as he shared his opinions on the multiple properties he showed us over a two-day period. With the Schaub Team's help we closed on our home and spent several weekends this summer making new "Up North" family traditions of our own. Thank you Roger and Melanie! Roger and Melanie, Thanks so much for your advise, guidance, assistance, and support along the way. Clearly, we made the right choice in a realtor. We are quite pleased with the outcome. Much appreciated. We wish you well. Dear Tim, We want to thank you so much for all your hard work and assistance in helping our purchase of our beautiful new home! We appreciate all the work by your entire team - all of you are first rate and very professional. It made this process so much easier than we could have anticipated. We knew that making a move after 30 years in one location was going to be challenge. We wanted to live in Leelanau County but had no idea whether our house would be next to a lake, in a village or out in the country. Our first call was to Roger. He spent the time learning our needs and timing. We learned quickly that Roger and Melanie were plugged into the communities they serve. They keep up with changes in the market and have close relationships with contractors. We probably looked at 100 properties over the course of one and a half years. They never displayed frustration with our pace and needs. Buying a property from out of state is overwhelming. Melanie and Roger gave us the support we needed to find the right place to live. We now enjoy sunsets over Manitou Island, great Riesling, fresh baked goods and conversations with shop owners around Lake Leelanau. We also have two new friends: Roger and Melanie. My husband and I had an excellent experience in buying our home through Roger Schaub. The whole process was smooth and very comfortable. We could tell from the beginning that everything would be done professionally, and we got exactly what we hoped for and expected. We were very happy with the Schaub Team & especially Roger who guided us & helped us all the way through to the end & appreciated all his input & advice on what to do. we will absolutely refer any or other people we know who will be selling to Roger Schaub! Thank you so much. Very positive - Roger was aggressive in showing the property, even during winter and with burst pipes! He's upbeat approach was appreciated. he spent a lot of time showing the property, which led to a sale within a year. Responsive in answering phone calls quickly, also. The Schaub Team did a great job for us! They were very professional and helped us a great deal in selling our home as well as finding a new home. Thank you Tim! (and the rest of the team). You have made Mary and I very happy. We could not be more pleased with your professional handling of this transaction from beginning to end. Your professional advice and attention to detail was reassuring during every step in the process. Your teamwork made it very easy for us to purchase property, 'by remote control", without missing one minute of work and without leaving our home in Florida. We would not hesitate to recommend your services to anyone. we look forward to doing business with "the Schaubteam" again. Thank you. Cheers. I can't thank you enough for all that you did to make the sale go through. There were moments when I wondered where all the craziness of negotiations would end up....Calling upon your family's long standing friendship with "the neighbors" was something very special, and some would consider it "over the top". To do that for a perfect stranger (me) was very kind & nice. Know that I am forever grateful, and will do my best to keep those strong ties with "the neighbors" healthy & happy on behalf of the Schaub Family. Very best. Thank you for helping us find our home in Leelanau County. We appreciate all the time you spent with us on the phone, emailing properties and showing us homes. You helped us to identify what we were looking for and then guided us through the purchase process. We are excited to be homeowners "with a million dollar view" on Lake Michigan. The Schaub Team was flawless in executing all the details and always returned calls and emails promptly. We are grateful for your assistance in getting quotes and giving us contact information for repairs and service once we arrived in Suttons Bay. We are extremely glad we worked with the friendly, professional and always smiling Schaub Team. The house we purchased is surely the house that was meant for us. We were amazed when an eagle landed on the beach the day we moved in which was a wonderful welcome and a sign that we are where we were meant to be. I want to say how much I appreciate you finding this house for us. It is absolutely perfect! The house, the wood interior, the charm, the setting - everything is better than I could have imagined. It's been a long time trying to make a dream of a cottage in Leelanau come true - lots of work for both of us. I know you especially did a ton of work on the Varley cottage for us. So thanks for that, as well as all the tours of houses in past years, researching places, and for always being patient. It feels like this house was meant to be for us, and you made it happen! Hooray! I am a Suttons Bay homeowner. I am excited and can't wait to get up there....Thank you all so very much for all of your expertise, kindness and professionalism. you made it a pleasant experience and I could not have done it without you....literally!!! I am very grateful. My Schaub Team experience could not have been better. The "team" approach between Tim & Melanie was extremely efficient and helpful. They were very responsive to all my questions and concerns, and went beyond the call of duty to help me. They were also very helpful in giving me referrals for other things I needed to have done. I would most definitely use the Schaub Team again & would happily refer and recommend them to anyone needing a Realtor. Thank you Roger, Tim and Melanie for your assistance in selling our home in Leelanau County. We appreciate your relentless work on our behalf and the professionalism and utmost integrity with which you conduct business. We look forward to working with you on our future purchase. Best regards. Tenacious, organized and optimistic throughout "the ordeal", Roger made "the deal" happen. Bravo! Roger & Melanie: Lars & I would like to express our sincere thanks to both of you for all your hard work in getting the close of our new second home to happen on schedule. it is now over 2 weeks since the close and much progress has been made in making the home our own...Your professionalism in tackling all the problems that came up made this experience a lot easier for Lars & I. Thanks for all you did for us. Tim & Melanie, Thank you so much with your expertise i the purchase of our new home. We look forward to when we move in. Roger, Thank you for all of your help and guidance with our relocation to Leelanau. We know you have been extremely kind and patient with us and we sure appreciate you. Thank you! Melanie, Thank you and Roger again for all that you did in getting everyting done so fast to make our deal happen for us! I never got a chance to give you any feedback until now. I give you guys a 10 out of 10 or five stars. Thanks again for everything. Have a great day. Dear Roger, This is a bit late, but I just want to thank you for taking the time out of your busy schedule to show me all of those condos. I realize we don't represent an immediate return on your time investment, but you were kind enough to take the time to help me gain some perspective on options and I think it was an opportunity for you to get some idea of what we're looking for. It was fun for me, and I hope to continue my "research" until we're ready to make a decision. Melanie was very nice and helpful also....I will be in touch when I can get there again, and if you're not too busy, maybe we can look at others. thank you again for sharing your time and expertise! Dom and I want to thank you for everything you did to help us find and buy the perfect home for our family. Tim - we appreciate so much the way you listened to our needs and concerns, ultimately matching us with our new home. Your knowledge of the area and tireless good humor made looking fund and interesting! Thanks to Roger for your help in brining us all together to make the sale happen. And thanks to Melanie for keeping the closing process on track. Finally, thank you for the beautiful Stony Point photograph and the framing! It will have a special place in our home, reminding us of the area we love, but also of a team that treated us like family. God bless and continued success. Roger did an excellent job as broker for me as a buyer. Good follow through! Tim, You and your Team were a pleasure to work with and as I told you on the way to closing, both Marianne and I decided you were our real estate agent when you were so responsive to our needs and kept the lines of COMMUNICATION open through the entire find/buy process. We will refer any friends or contacts to you should they be in need of a good real estate agent. Dear Broker - I was very pleased with Roger, as he sold my property. If all your agents were like Roger you would have a great company! Dear Broker - we are writing this letter in praise of one of your Associates, Tim Schaub of the Schaub Team in Suttons Bay. As a couple, our experience and opinion of Realtors over the years is not favorable. This is despite having very close friends who are Realtors. We met Tim this summer while we were looking for vacation /retirement property in the Suttons Bay area, as we have for the past ten years. Several years ago, we found a pretty desirable home in Suttons Bay that was represented by another Realtor and we made an offer through her on the home. But the deal quickly soured, primarily based on the personality of that Realtor. I'm sure you can guess who we are talking about. Over several days, Tim spent hours with us and was eager to deal with our schedule and needs. We were immediately impressed with his personality, humor, honesty and his ethics to never "bad mouth" a person or a piece of property. Even though we did not find suitable property in Suttons Bay in the week we were there, we were excited to have met someone who would be trustful enough to represent us from 500 miles away, should the right deal come along. During the following weekend, we traveled to Harbor Springs and found a condo on Crooked Lake that seemed right. Upon our return to Cincinnati, we contacted Tim, who agreed to represent us. Now this was no easy deal. From the time we put in our first bid to the closing by mail over 45 days later, Tim was with us all the way. Whether it was to try to solve problems caused by our mortgage broker in Cincinnati or to solve problems caused by inaccuracies on part of Graham Realty in Harbor Springs, Tim worked tirelessly at times well beyond "normal office hours". He contacted us two to three times a day, seven days a week, to update us on status and to address our needs and concerns. Finally, because the mistakes of others had caused us to lose two loans at significantly lower interest rates, Tim graciously offered to pay points to ensure our happiness. We were flabbergasted! Never had we experienced the service from a Realtor, including our close friends, that Tim had provided. Our daily conversations with him, made us feel as though he was a part of the family. But I assure you that our family would not offer to pay points for us! We cannot say enough good things about Tim, not only as a Realtor, but as a person. We have even had "withdrawal symptoms" as we do miss talking to Tim each day, although we are sure that if we called him at any time, he would socialize with us and be the genuinely good guy that he really is. He is certainly a great credit to your business and the Schaub Team. Roger & Melanie - A personal, thorough, and professionally done job on our recent property transaction by both the agent, support people, and title company. A head above the competition! P.S. We'll do business again in the future, will advise when. Very pleased with the service Roger did and a great job. Great service, Roger was knowledgeable regarding the area and what I was looking for. he was helful with outside resources to help after the purchase. I was very happy with the service Roger provided. He was readily available and accommodating to my schedule and needs. Great job!